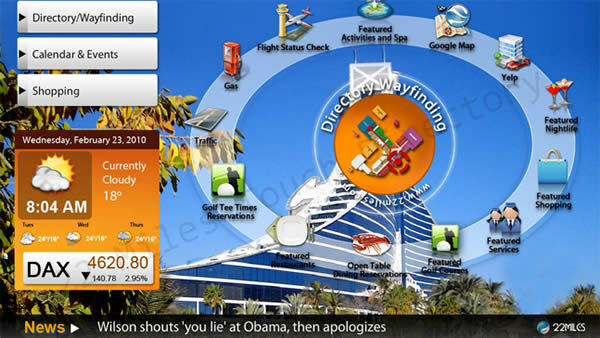 From a Digital Directory, to an Interactive Wayfinding Map, to Virtual Concierge services, to a Green Energy Dashboard and even revenue-boosting Advertisements and Promotions, TouchDirectory is the next-gen solution for your building. 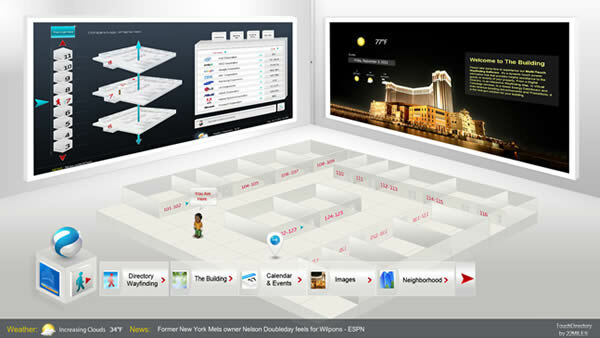 The Interactive2 system provides an impressive showcase of the property. 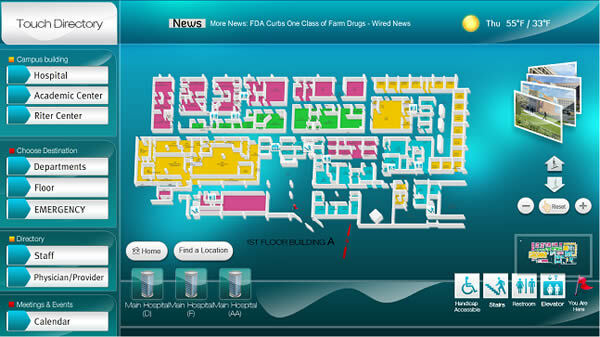 The Interactive2 management and easy to use and instant updates keep content accurate. The systems provide Tenant directory services to impress guests while providing brand promotion and your own local concierge services. Interactive2 is a convenient wayfinding and information hub that will leave a lasting impression. 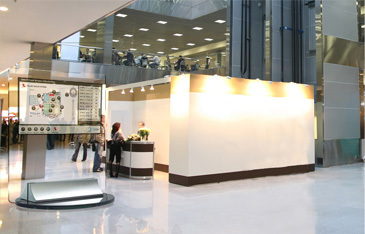 Shopping Centres, Hospitals, Government Departments, Concierge and Information Desks, Information wall, Building kiosks, Outdoor kiosks, Main Foyer, High-traffic Outdoor Intersections, Student lounge, Library. Outdoor kiosks With self-service and concierge services, guests are able to do much more than simply find their way. Outdoor kiosks With many options to cleverly advertise and promote, you have the ability to actually direct traffic and even create a direct sale. 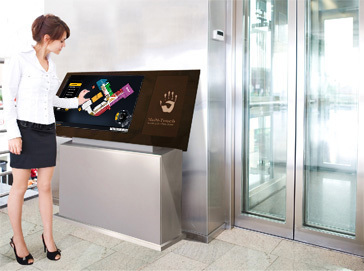 Outdoor kiosks Boost your service and the appearance of your building lobby. Outdoor kiosks Have your systems play a key role in bettering the convenience and efficiency of your facility. Outdoor kiosks Offer great features that students and visitors will love, like the interactive "Message Board" or "Donor Wall" add-ons. High-traffic intersections on the show floor Building kiosks Make it easy for attendees to find a booth, view a schedule of demo sessions, and locate facilities. Outdoor kiosks List available units, showcase local amenities, and even offer a "Contact Us" module that integrates with your website. 4 corners of the store Building kiosks Let shoppers search for an item at the entrance and then even suggest other items they might be interested in along the way.